Research for insurance industry experts conducted after the Grenfell Tower blaze has suggested the standard UK fire safety test of building materials fails to properly assess risk. It was found that the British Standards Institution (BSI) test does not factor in “real world” conditions in a study commissioned by the Association of British Insurers (ABI) and carried out by the Fire Protection Association (FPA). The government used the test to examine flammable cladding on buildings after the Grenfell disaster. Both organisations are now calling for a review of the tests. The research suggests real-life fires could burn hotter, spread faster and last longer than those in the safety checks. 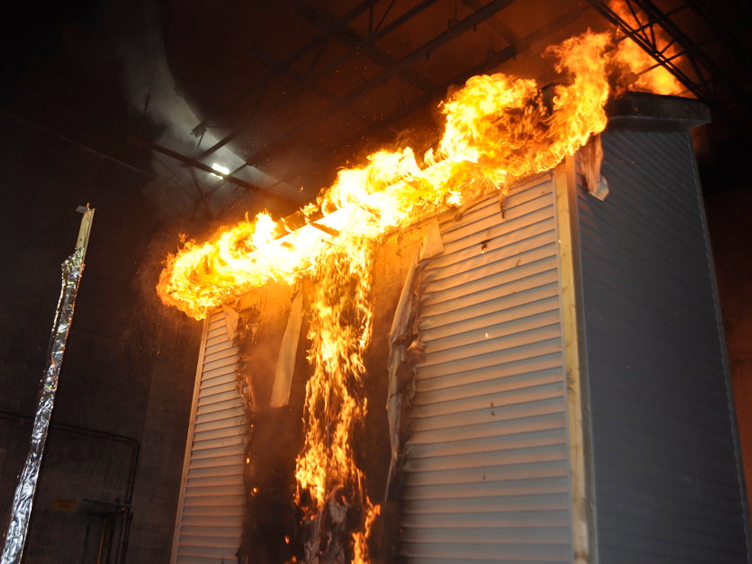 BSI test BS8414 involves using a wood fire to set light to an L-shaped section of wall and allows architects to show a design including cladding and insulation is safe. When researchers replaced a fifth of the wood used to start the fire with plastic – which is involved in many blazes – they found it increased the temperature by 100C. The FPA said the tests assume the cladding is used as the manufacturer intended, but they will often be pierced by vents or ducts. It added that real buildings have gaps in their facades either by design or because of poor workmanship. When this was simulated in the tests oxygen fuelled the flames, which eventually spread up the entire test rig. In one instance the flames were still increasing and they had to be extinguished because lab safety conditions were exceeded. Jonathan O’Neill, managing director of the FPA, said its tests “confirm long-held concerns by many in the fire sector that the current cladding test standard requires urgent review”. Freya Comprehensive Fire Solutions (FCFS) can support businesses to provide fire risk assessments, fire compartmentation, fire audits, fire engineering and building design solutions to keep them safe from fire. And with over 10 years of practical experience, the team at FCFS can ensure a holistic approach is adopted, helping to identify ‘real world’ risks and put in place steps to minimise them.